When one crime drama lays to rest, another is born. Sure, we&apos;ll miss Law & Order, but Rookie Blue, a new show on ABC about newbie cops, seems promising. At the very least we can appreciate good TV—and we loves hot cops (the only kind we loves)—so we&apos;re excited to see the relatively unknown PYT Missy Peregrym star on the new show. Hearing Lil Wayne brag about his romping sessions with a policewoman makes us want to find a Mrs. Officer of our own. 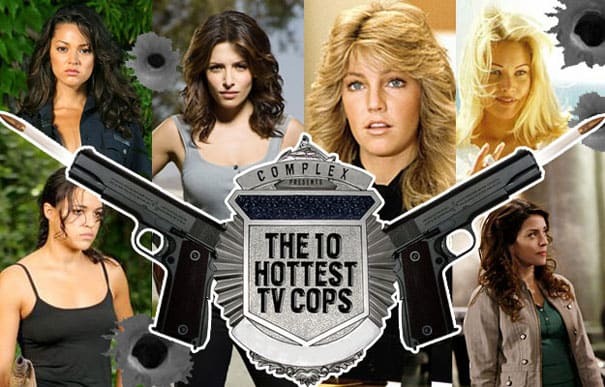 So to prepare for the first episode of Rookie Blue premiering tonight, we compiled a lineup of the hottest female cops on TV. Cuff us!